A few months ago I watched a heart wrenching video of an Igbo man who discovered his only son was not actually his biological child. After 32 years of being a wonderful and loving father and relocating the boy’s destiny to England, the boy’s mother calls them to drop the bombshell. Recently, we have been seeing a lot of news about paternity testing in Nigeria. There have been many funny memes about it, but anyone who has actually faced this in reality will tell you that it is not a laughing matter. This just made me wonder; a lot of the time when a woman gives birth in Nigeria she tends to be married, and the father of the child is presumed to be the woman’s husband. In almost all instances where a woman tells a man that he is the father of her child, she would be offended if he asked for a paternity test. However, after talking to several friends about the topic, one comment that was reoccurring was, “Ivie you cannot even begin to understand how many men in Nigeria are raising children that are not biologically theirs. Many of them continue with the marriage because of image, but tend to start misbehaving uncontrollably”. 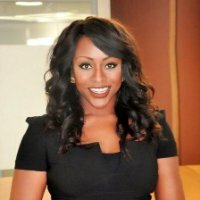 This article talks about paternity fraud and the legal implications in Nigeria and abroad for same. Paternity fraud is where a woman leads a man to believe he is the legitimate and biological father of a child. This may be either by misidentification, where the woman is wrong in her own belief as to who the child’s father is; or may be outright fraud, where the mother knows categorically that the man is not the child’s biological father, but for reasons best known to her, continually tells him “You Are The Father…”. In 2015 a survey conducted by Durex revealed that Nigerian women are amongst the most unfaithful in the world; the DNA department of the Lagos University Teaching Hospital has estimated that approximately 30% of Nigerian men are not the biological fathers of their children. However, many others believe paternity fraud is even more prevalent than this. Some argue that in most cases women know who the biological father of their children are and that misidentifications are rare. In other jurisdictions, paternity fraud is a very serious issue. As you can imagine, with the gravity of child maintenance in these countries, such a mistake often turns out to be a very expensive mistake. In this case, the authorities have the right to use the affidavit of paternity or birth certificate, both signed by the father, as proof of paternity in child maintenance cases. The laws relating to child maintenance vary from region to region; however, what resonates is that the best interests of the child are of the utmost importance. Thus, where there have been confirmed cases of paternity fraud, the courts have the onus of determining whether payments should continue, or whether the father may cease continuation of payments. It has not been unheard of, for a man to be mandated to continue child maintenance payments for a child who has been revealed as being unrelated to the man where maintaining the status quo has been deemed as being in the best interest of the child. Depending on jurisdiction, women involved in paternity fraud are often guilty of a criminal offence, however many courts are unwilling to convict on grounds of paternity fraud. This is because, the best interests of the child are of paramount concern. Where the mother is able to prove that the matter is a genuine misidentification, as opposed to outright fraud, then this may successfully mitigate any possible liability she may have; or rather, the presiding judges willingness to extend the full ambits of the law against her. In most instances, the only recourse a man would have is a monetary claim against the woman for all the monies exhausted on that child, however the likelyhood of her having the capacity to repay monies, expanded over the course of several years in one lump sum, are slim to none. Where the child is a teenager, damages awarded in such an instance could run into the millions. 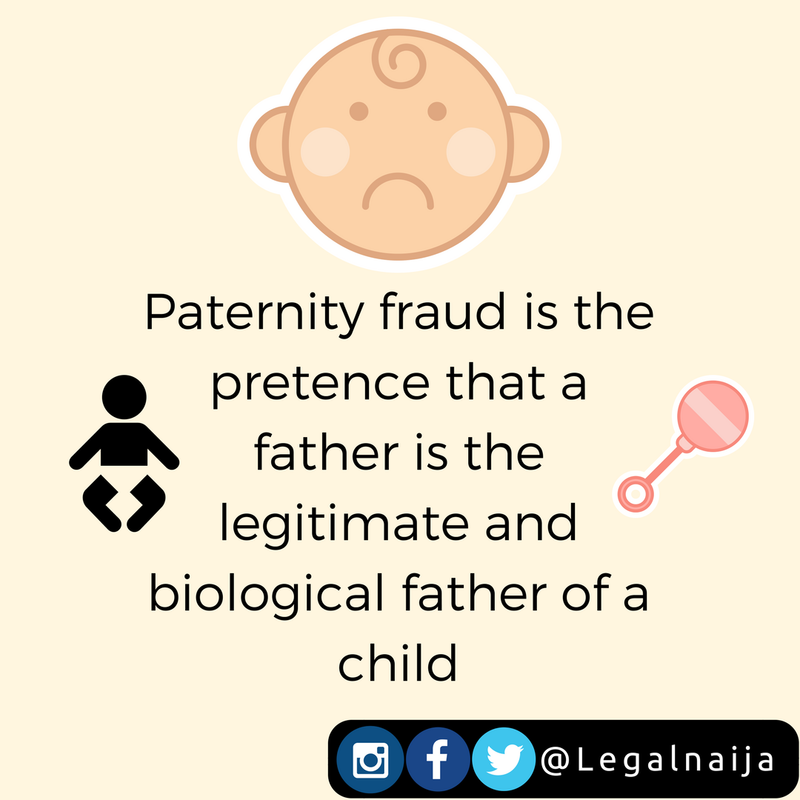 Unfortunately there seems to be no case history in a court of record for paternity fraud in Nigeria. As stated above, it is something that is definitely happening in our society. Regrettably, due to our culture of keeping things in house, in most instances parental/community intervention and church counselling, are the primary means of conflict resolution. The most one might possibly hear is that, Tunde and Yinka are no longer together, and that Tunde doesn’t even take care or see his “daughters” again. Some believe that another reason for sweeping things under the carpet is that in most instances there is no court intervention, where a man has a child through extra-marital affairs or out of wedlock. Fathers simply know that they have an obligation to cater for their children, and so tend do so. Thus why would there be court intervention in this case? Unfortunately in Nigeria we have not gotten to the stage where any man has actually sued a woman for paternity fraud. However, just like spousal support for men, any man who establishes that he has been wrongly maintaining a child who is not his biological child, has a claim against the mother of said child – in the form of monetary damages. How the Nigerian courts might decide to handle the matter is an entirely different matter. Any man who believes that a child is not his biological child should seek a DNA test immediately. I believe, for the well-being of the child, it is something that really should be highlighted and rectified as soon as possible. Every man has the right to be able to forge solid relationships with their biological children and every child has the right to know their biological fathers. Many men sign a child’s birth certificate without “doing the needful” and I believe this is where the problem lies. Mandatory paternity tests at the time of birth will significantly solve the issue of paternity fraud. In Nigeria we are very far from such an order being likely to be implemented. If all else fails, I would advise women to simply pray that the child is a splitting image of the identified father, thus avoiding unnecessary questioning.